EDMO is a custom-made EDucational MOdular robotic platform developed for the course Robotics and Embedded Systems at Department of Data Science and Knowledge Engineering, Maastricht University. 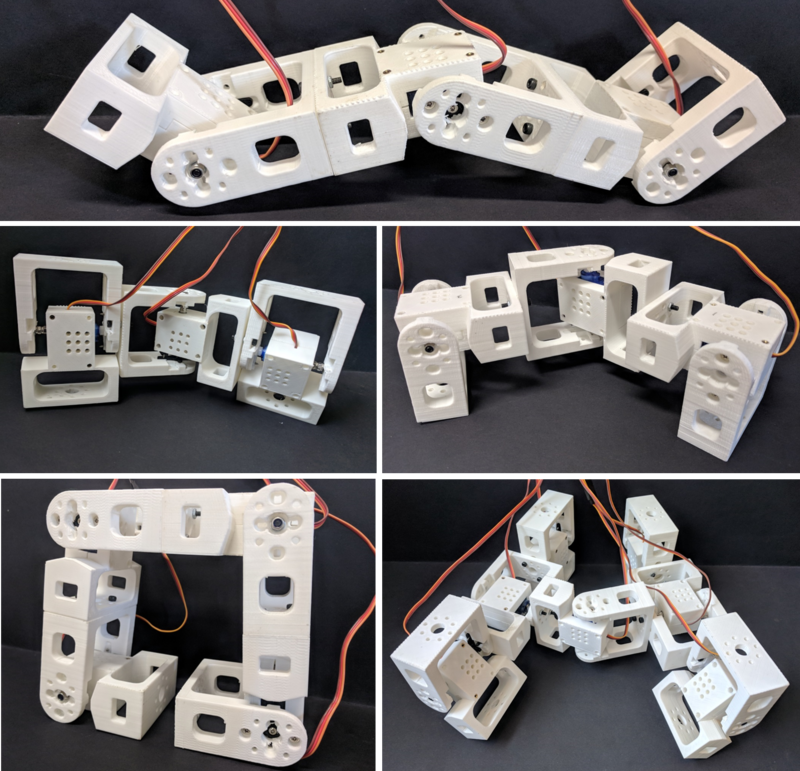 The EDMO platform was designed as a versatile, modular robotic platform that allows students to construct and explore a variety of robotic morphologies including snake, biped, and quadruped configurations. EDMO modules have been designed with a philosophy in mind that explicitly allow students to make and to actively learn from mistakes. 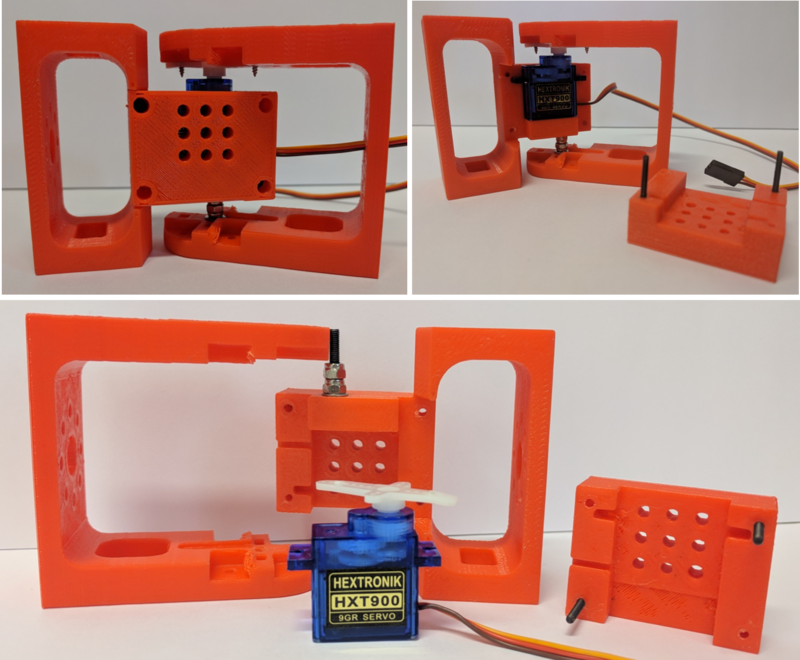 The modules combine low-cost off-the-shelf servo motors with low-cost custom-made 3d printed shells. To drive the EDMO robots, low-cost off-the-shelf electronics provided by Arduino are being used. EDMO modules are easy to reproduce, repair, and modify. Different robotic morphologies like snake, biped, puppy, and quadruped configurations made from the EDMO modules is shown above. Below we can see the video from the final competition in the course Robotics and Embedded Systems. The students race their robots to win a prize at the end of the course. Students make configurations with 3, 4 or even up to 6 EDMO modules.